Fresh off both The Post, and also that Super Bowl ad where he reminded us that newspapers are good, mostly, Tom Hanks is continuing his ink-stained, typewriter-fueled, one-man campaign on behalf of the noble journalist. Per The Hollywood Reporter, Hanks has signed on to work with Captain Phillips director Paul Greengrass on yet another movie project in which he plays Your Dad, But Also He’s A Ship Captain Or A Newspaper Editor Or An Archaeologist That The Vatican Is Trying To Kill. In this case, it’s “But Also He’s An Old-Timey News Reader,” courtesy of an adaptation of Paulette Jiles’ novel News Of The World. 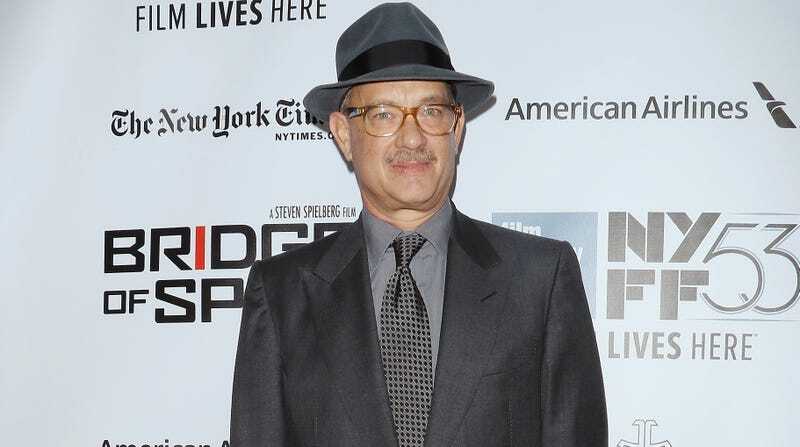 Set in the aftermath of the Civil War, the film—which Greengrass, fresh off his mostly regrettable Boston bombing docudrama July 22, is in negotiations to direct—sees Hanks play a newsreader, a.k.a. a guy who used to travel from town to town, giving staged readings of news and current events to inform an otherwise cut-off populace. While on the job, he gets offered a large sum of money to deliver a young girl to her family in California; the inevitable bonding and heartwarming heartbreak follows. Hanks is currently in something of an old-timey mood at the moment, it seems, also serving as an executive producer on HBO’s upcoming TV miniseries about Lewis & Clark. Greengrass, meanwhile, has never dipped this far back into the period-piece timeline, having mostly concerned himself with more recent terrorist history. Jiles’ book was a National Book Award finalist back in 2016, so at least they’re working from strong material for their latest collaboration.